A year has already swept by since Instagram introduced its live video feature, following in the digital footsteps of Facebook. The live video is a great feature for Instagram users who want to connect with their followers in real time. Similar to Facebook’s live video feature, it provides a host of possibilities for sharing content, engaging followers and attracting an audience. Not only does it enable you to stream your life in real time, it also facilitates the creation of an intimate connection between you and your followers. If you’re wondering how to go live on Instagram, you’re in the right place. Here’s how you can live stream your VLogs and other video content. Note: Instagram web does not allow you to go live on Instagram as of yet. 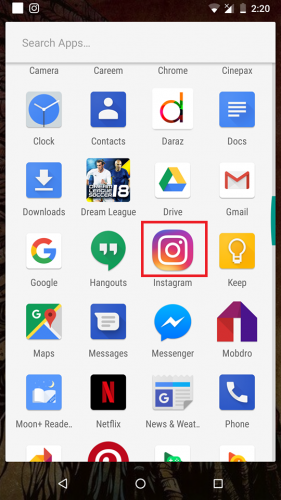 You will have to use your Instagram application on your Android, iOS or Windows device to avail this feature. 2. 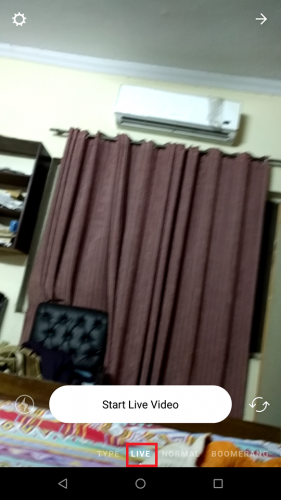 On the main screen, tap the camera app, located on the top left corner. 3. In the Camera app, a list of options will be given. Swipe left to select Live. 4. Click on Start Live Video to initiate your stream in real time. After Instagram checks your connection, you will be on the air, and good to go. Your followers will be notified that you’re live. However, not all of your followers will be notified of your live stream. Instagram chooses to appraise only a select number of followers of your live stream. Users can comment and share your live stream at their discretion. If you like a comment, press and hold it to pin it to the top. You can also turn off abusive or inappropriate comments on your live video. 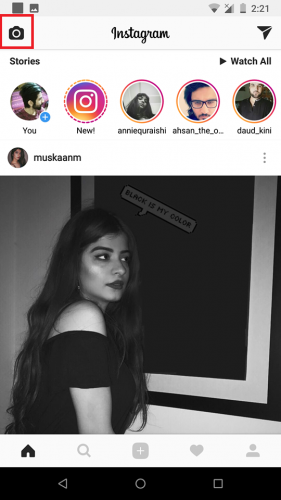 Here’s How to Turn off Abusive comments on Instagram Live. When you’re done conveying your message in your live video, tap end located in the top right corner to end your stream. After ending your live stream, tap save in the upper right corner. 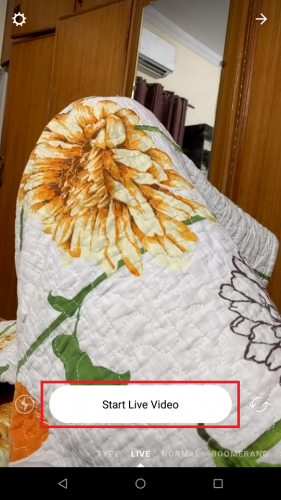 Select OK to save the video to your phone’s gallery. You can also share it as an Instagram story. Can you View Someone else’s Instagram Live Videos? Yes, you certainly can. Tap the profile picture of the user from your feed whose live video feed you want to see (the feed appears on top of your home screen). Their profile picture will have a vibrant red ring, with the word live appearing on top of it. Note: Other users viewing the same live video know if you’re watching the Live video. Some users share a live video replay as their Instagram story. You’ll see their profile picture adorned with the word ”live” and a colorful ring on top, where your feed appears. You can’t comment on a live replay, but you can respond to it through Instagram direct. 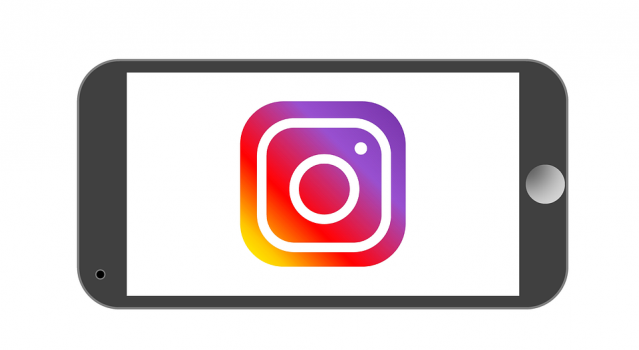 If you don’t know how to go live on Instagram, you’re missing an opportunity to garner the attention of millions of followers on Instagram and propagate your social media business or brand. Not only is Instagram live a fun and cordial way of promoting content, it also the most effective way. Can you post live photos on Instagram? Yes, for that you’ll know how to use the Boomerang feature. You can check out our Instagram tutorials to get guidance on how to use it. How do I save my live video? It’s fairly simple. All you have to do is tap save after ending your live video. The save button will be in the top right corner, the moment your live stream ends.